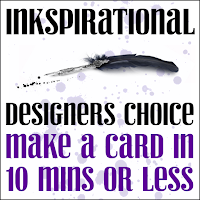 The 10 mins starts when you actually start making your card-you can collect all the items you need to make the card before you start that clock! We would love to know how long it took you to make this-just for fun! This card was all made from items I had in my stash. The only thing I needed to do was to make the dry embossed background. I got all the items together together and then started my timer-it took me 8 mins and 32 seconds to make. We would love to know how long it took you-just for some fun! 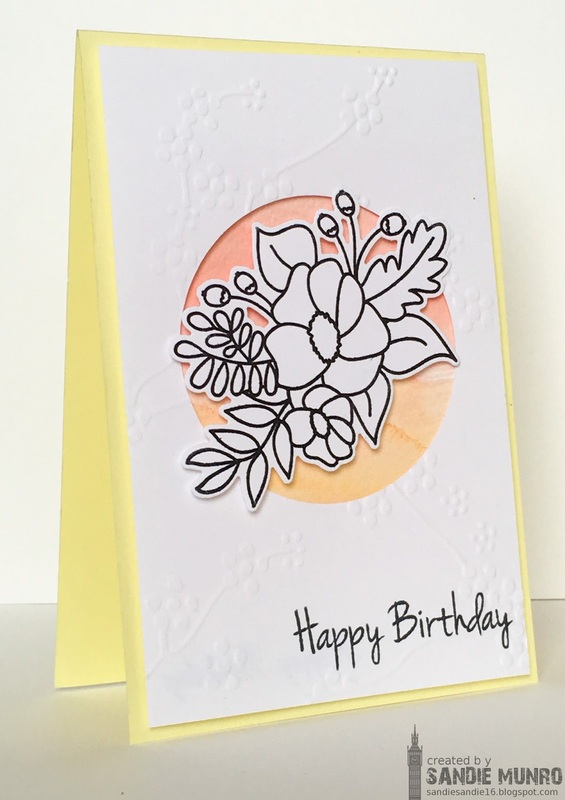 You can see what Deanne and the DT made here...who can make the quickest card??? Just Us Girls-photo week-colours and flowers inspired. Love the softness of your background mixed with the black and white image! 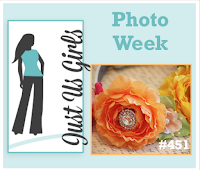 Great card and we appreciate you being with us this week at Just Us Girls for Photo Week! I love how the colour comes from the back instead of the focal point - beautiful. Super simple and fabulous Sandie. 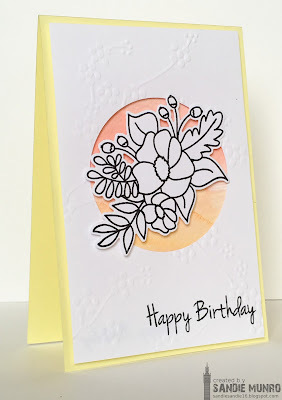 Lovely soft background and great touch with the embossing which really finish it off perfectly adding another element. Thanks for joining us at Just Us Girls this week. Absolutely lovely, Sandie! The pretty cluster of flowers, the embossed background, the soft palette of the aperture...swoon! And to think this beauty was created in under 10 minutes makes it even more impressive!